Plants that belong to the Tropaeolum genus may be annual or perennial; this section deals with how to grow hardy annual Tropaeolum; go here for information on planting Perennial Tropaeolum. Some of the common names for Tropaeolum include Nasturtium, Scottish flame flower, Empress of India, Indian Cress and Canary Creeper. Latin names include tropaeolum tuberosum and nasturtium officinale. Tropaeolum comes into bloom from summer to autumn and carry trumpet shaped flowers, these are a little unusual due to having long spurs; the Nasturtium flowers may be orange, red or yellow. Tropaeolum by Quinn.anya; Creative Commons. Tropaeolum majus – Indian Cress by Eran Finkle. Common Names: Nasturtium, Canary Creeper, Canarybird Flower, Mashua, Garden Nasturtium, Indian Cress, Monks cress, Flame flower. Height: Annuals: 40 to 100 inches (100 to 250 cm). Native: Central and South America. 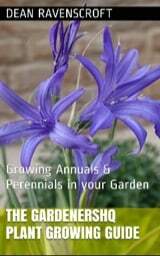 Growing Region: Annuals: 1 to 10. Flowers: Annual: spring and/or summer and autumn. Flower Details: Intense colours. Red, yellow, orange. Usually five petals. Trumpets. Frilled petals. Diameter 1 to 2 inches (2 to 5 cm). Foliage: Shield shape. Peltate. Palmate. Lobed. Annual: 1/4 inch (6 mm). About a week after the last frost. Spacing: 10 to 36 inches (30 to 90 cm). Sow Inside: Best started outdoors. Transplants should be put out following the last frost. Annual: use peat pots. Germination time: one to two weeks in the dark. Temperature 65°F (18°C). Requirements: Full sunlight or afternoon shade. Good drainage. Soil pH 5.5 to 6.5. Moist soil. Ordinary soil. Poor soil. Provide support. Provide trellis. Water during prolonged dry periods. Propagate: annuals from cuttings. 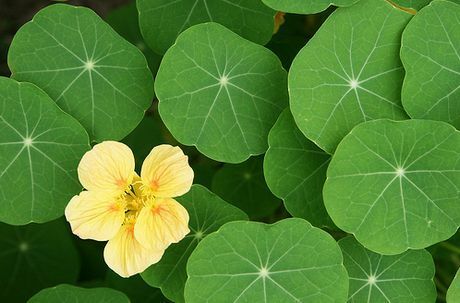 Miscellaneous: Although the common name of plants from the Tropaeolum genus is Nasturtium do not confuse members with those from the genus Nasturtium (watercress). All parts, especially the flowers, which have a peppery taste have culinary use. The tubers of Mashua are a very popular food source in the Andes. 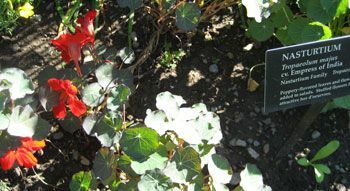 It is best to sow Nasturtium seeds in their final location, whether this be in a container, or in the garden itself; do this about a week after the last frost. The Nasturtium seeds should be sown at a depth of about 6mm into a slightly acidic soil, that is moist and has good drainage. Nasturtium likes to grow in an area of the garden that is sunny. Depending on the species annual Tropaeolum should be spaced at 20 cm (small), 35 cm (medium sized) or 60 to 90 cm (large Tropaeolum). 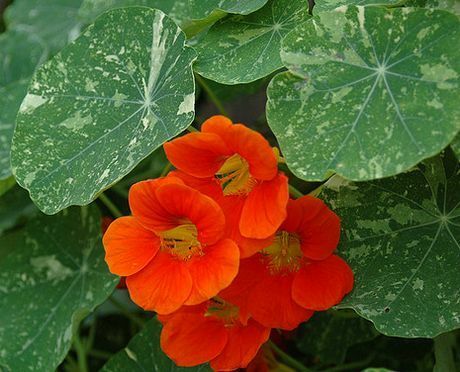 Annual Tropaeolum plant species such as Nasturtium and Canary creeper are climbers, so supply a trellis or similar frame that they can grow on. They like moist soil so keep well watered. They should not be fertilized as this results in poorer flowering. If you require more plants then Propagate Tropaeolum plants by taking cuttings.